1. Heat oil and add mushrooms. Sauté until nicely browned 2-3 minutes. Remove from heat. 2. Cut avocado in half. Slice the meat of avocado into cubes. 3. 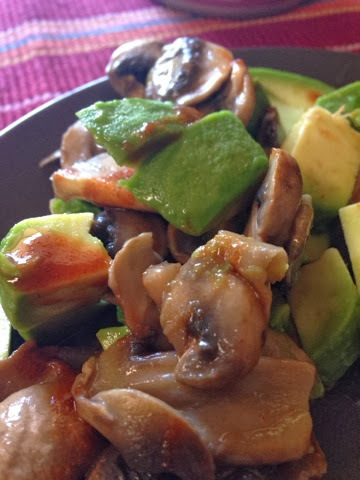 Combine avocado and mushrooms in a bowl. Toss with Tabasco sauce and sprinkle Parmesan cheese.